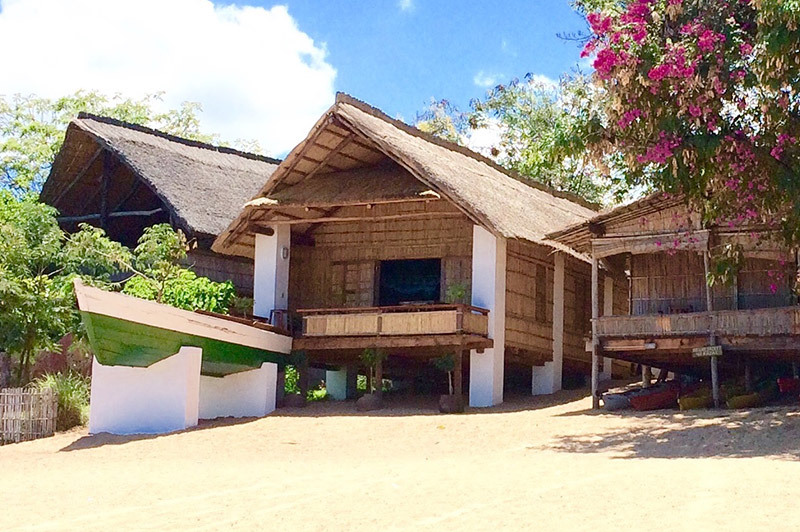 Kayak Africa have just completed building a beautiful new self catering cottage right on the beach at Cape Maclear. We have long wanted to offer our own accommodation at Cape Maclear for our clients who have to overnight in the village before setting off to the islands. The cottage sleeps four in a queen size bed and a bunk bed. It has a small kitchenette which is fully fitted for self catering. The bathroom has a shower, loo and basin. 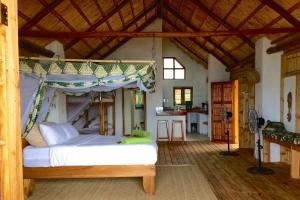 Cape Cottage is on the beach next to Kayak Africa’s reception and is a decorated in our simple, yet comfortable style. Bed linen is pure white cotton, fabrics are locally sourced and the building is a mix of brickwork and reed with a high thatch roof to keep it cool. The cottage layout is a large open-plan room with a spacious verandah opening out onto the beach. Take your meals on the verandah table, or visit one of the many local restaurants. The price is $60 per adult per night (first two) and $30 per adult after the first two; $30 per child per night. Maximum 2 extras (after the first 4 people) on mattress with bedding. Bookings can be made at letsgo@kayakafrica.com.